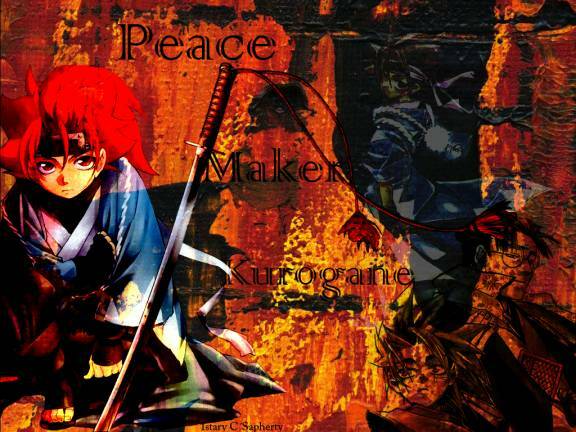 Peacemaker Kurogane (PEACE MAKER鐵, Pīsu Meikā Kurogane)(鐵 meaning Iron) is a historical fiction manga and anime series created by mangaka Nanae Chrono (黒乃 奈々絵, Kurono Nanae?). 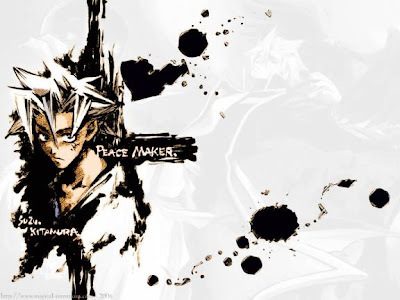 It is unrelated to the Peacemaker manga by Ryōji Minagawa. 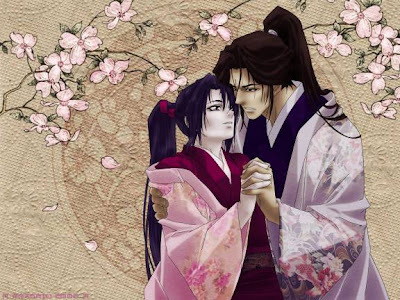 The story begins in 19th century Japan before the Meiji Restoration, a chain of events that led to enormous changes in Japan's political and social structure while the seeds of the revolution are being planted. The story follows the boy protagonist, Ichimura Tetsunosuke, who joins the Shinsengumi (initially as Hijikata Toshizo's page) while seeking strength to avenge his parents' death at the hands of a Choshu rebel. 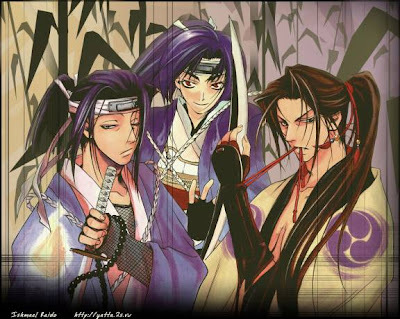 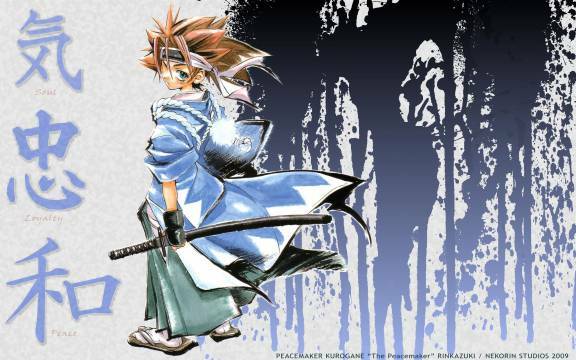 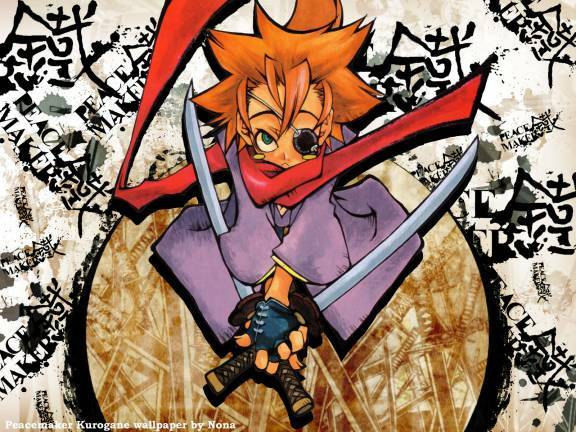 The prequel of Peacemaker Kurogane is Shinsengumi Imon Peace Maker (新撰組異聞PEACE MAKER, Shinsengumi Imon Pīsu Meikā) was published by Enix in the magazine Monthly Shōnen Gangan. 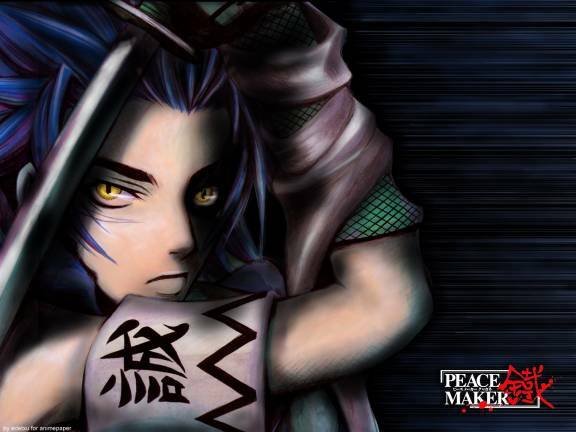 Shinsengumi Imon Peacemaker is licensed in North America by Tokyopop. A live-action adaptation of the manga was aired on TBS entitled Shinsengumi Peace Maker (新撰組PEACE MAKER, Shinsengumi Pīsu Meikā). 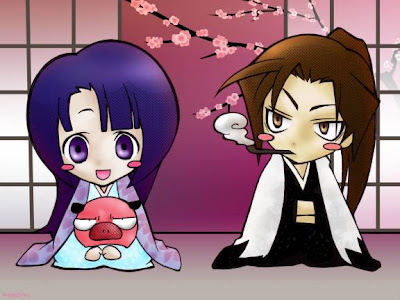 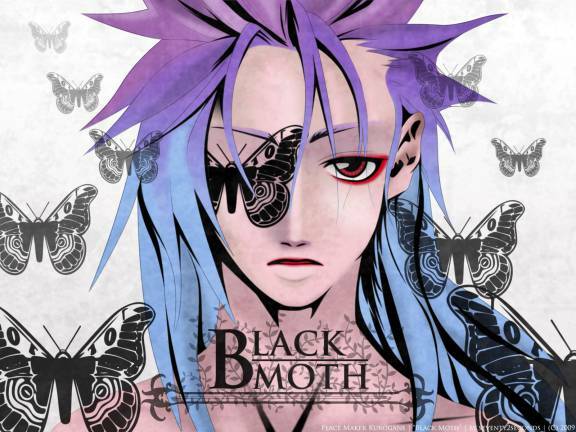 It premiered on January 15, 2010, until its conclusion on March 19, 2010.